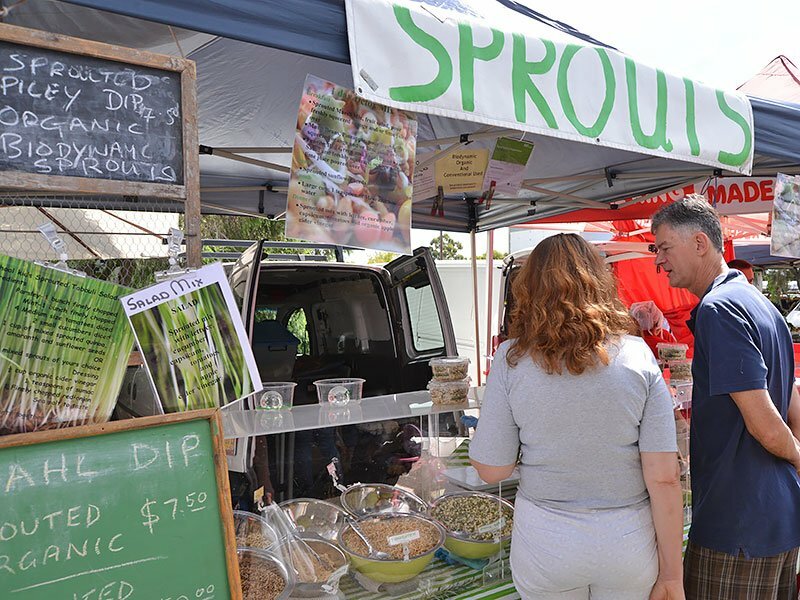 The Organic Food Markets hold weekly markets in a number of suburbs in and around Kuring-Gai. 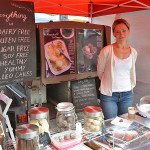 This Sunday we visited the Frenchs Forest market at 5 Frenchs Forest Road, Frenchs Forest. 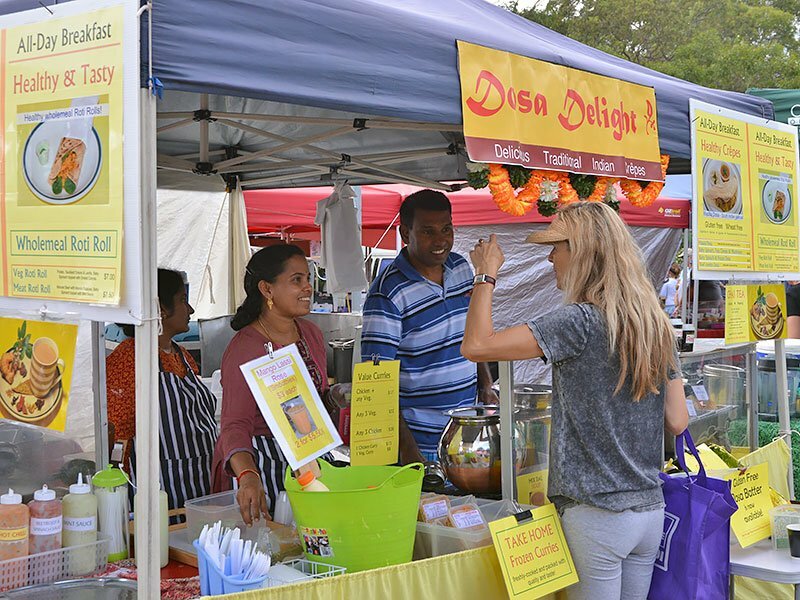 The stalls are familiar because we see many of them at the Hornsby Markets on Thursdays (in the Mall on Florence and Hunter Streets) and at Chatswood on Saturdays (Chatswood Public School on the Pacific Highway, Chatswood). 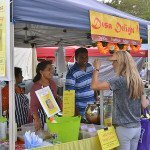 If you miss out on Hornsby’s Thursday market, you can always make it to Frenchs Forest or Chatswood on Saturday. 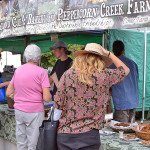 And if you love variety and innovation on your table or in your cupboards, you should check out these markets. Most, but not all of the food is certified organic. Stalls have signs indicating whether produce is organic or not, so check this if it’s important to you. 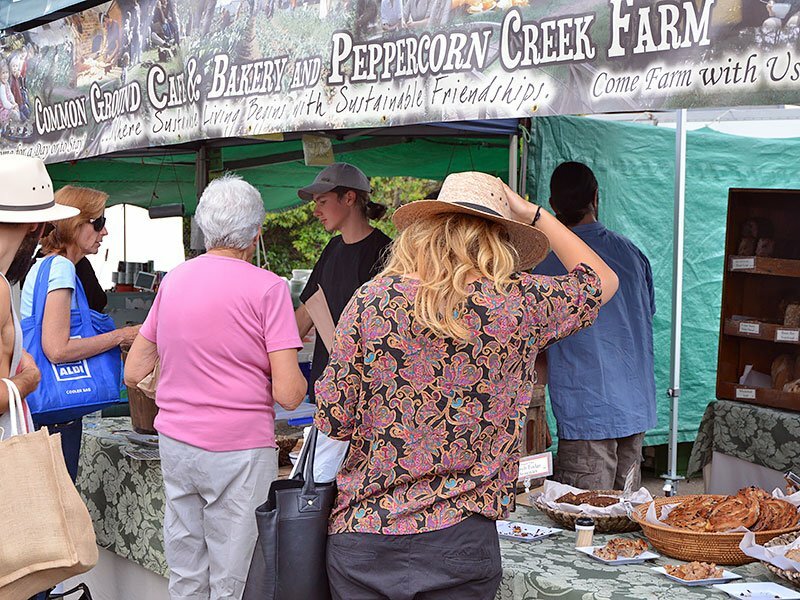 The markets offer artisan gourmet produce, as well as conventional fresh fruit and vegetables, freshly baked bread, meats and cheeses, smoked and preserved fish and other delicacies, etc. There are also numerous stalls selling clothing, second-hand books, novelty t-shirts, home wares, plants etc. 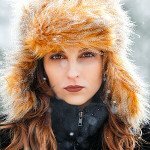 All products tend to be eco-friendly/sustainable/ fair trade/ health products. Prices are not particularly low – this is not the attraction of markets like these. 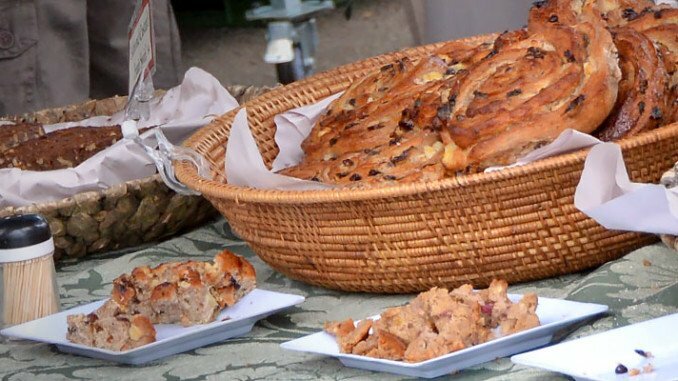 The prices reflect the fact that the stallholders have often hand-crafted their wares over time, transported them into the city and set up a stall and display, in the hope that they’ll be bought, to be enjoyed during the week as a special treat. 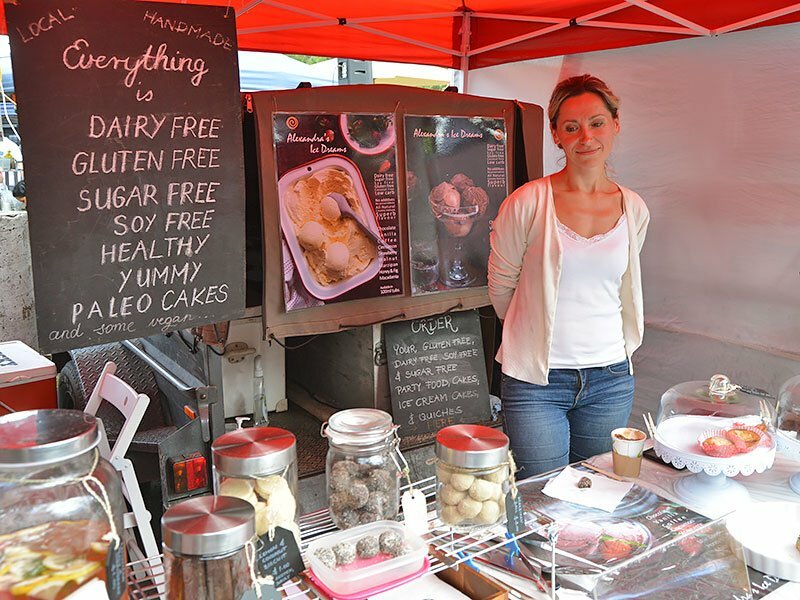 There are of course conventional food stalls as well, if this is what you’re after. 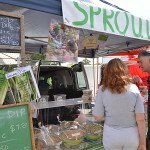 Sprout stall – for a wide range of sprouted peas and legumes such as chick pea, fenugreek, split peas, beans to liven up your salads, try this stall. We tried the Dahl Dip, which was spicy and which would go well with either fish or meat, or as a dip.